It looks like that Verizon Communications Inc (NYSE:VZ) has outperformed its rival AT&T Inc. (NYSE:T) and became the fastest U.S. wireless service provider. It is a big win for the company, especially after the network congestion problems it faced in New York. In the top 5 parameters, Verizon Communications Inc (NYSE:VZ) stood first in reliability index, speed index, data performance, call performance, and came second to AT&T Inc. (NYSE:T) only in text performance. The report divided top four carriers into two different tiers including the first one dominated by Verizon Communications Inc (NYSE:VZ) and AT&T Inc. (NYSE:T) and the second one with Sprint Corporation (NYSE:S) and T-Mobile US Inc (NYSE:TMUS). On an overall, Verizon Communications Inc (NYSE:VZ) secured the first position with 81.6 rating followed by AT&T Inc. (NYSE:T) with 79.5 rating and T-Mobile US Inc (NYSE:TMUS) (71.5) and Sprint Corporation (NYSE:S) (69.6) respectively. 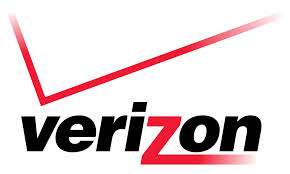 Verizon Communications Inc (NYSE:VZ) announced its second quarter 2014 results with revenue of $31.48 billion and EPS of $0.91. The company added 1.4 million retail connections within the quarter. This article is written by Prakash Pandey and edited by Serkan Unal.